Internationally, Even is mainly known for its dairy activities. Laïta has worldwide operations, with seven subsidiaries in Europe and clients in over 110 countries. Laïta export in Rungis, France. Laïta's impressive international performance the result of its commitment to worldwide expansion. The company is driven by a desire to extract the very best value out of the milk of its member farmers. 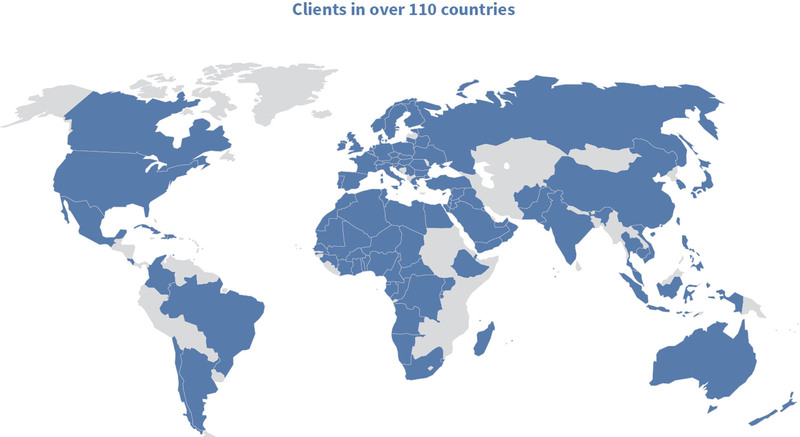 Laïta currently sells its products in over 110 countries worldwide. At present, 20% of its turnover is generated within the European Union, and 11% in the rest of the world. Laïta structures its commercial approach to Asia. In China, it opened an office in Shanghai and launched the brand "Bai Shang" which is a Mandarin declination of Paysan Breton that evokes a noble product, modern that we cherish. An employee will be based in Vietnam to develop the business in South East Asia. The company is one of Europe's leading manufacturers of private label dairy products, clinical nutrition and processed dairy ingredients sectors.